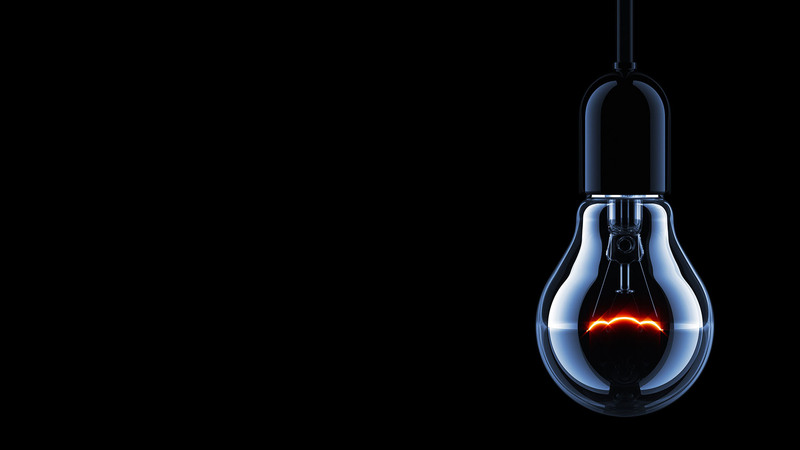 Would you like to know how to increase the efficiency of your photography studio? Would you like to know how to setup a photography studio designed for high production and image quality? How you put it all together. Before we delve into the details of each of these areas, let’s get 2 facts out of the way. Your business has unique needs and constraints – products, budgets, resources, and space. These will impact how you setup your studio. Products: Your studio must be designed to accommodate the products your business manufactures and sells. The size and weight of your products impacts the type of photography stations you use, how you move products around the studio, and the workflows involved in preparing your products for photography (cleaning, assembling, etc.). To illustrate, a business that sells jewelry will have a very different studio setup than one that sells bikes. Budget: The funds you have available will affect how you set up your studio. If budget was not a constraint you would have the best equipment, the best people and the best software – this is just not realistic for 99 out of 100 businesses. Tight budgets are real and need to be considered when setting up a studio. Resources: Running a studio is not simple, it takes people with expertise to operate the various areas – photography, logistics, editing, and managing. 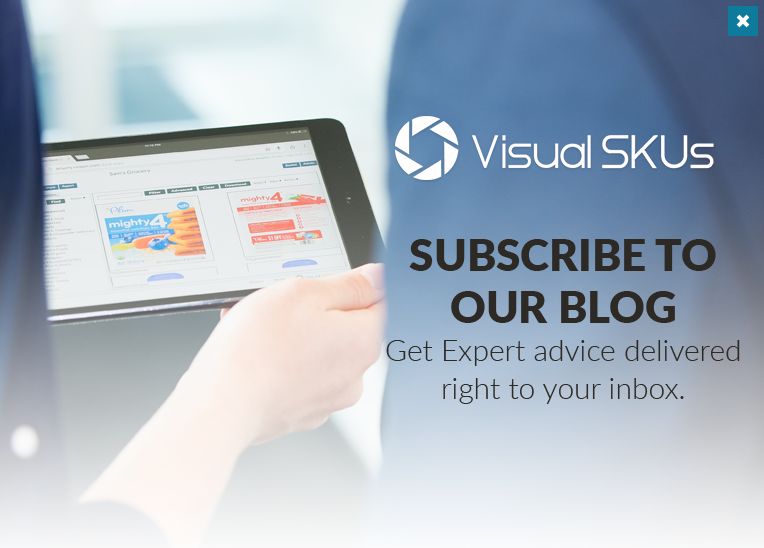 You may have an easy time hiring or getting access to experts or it could be a struggle. Studio Space: The space available for setting up your studio can play a big role in design. For example, if the space available to you in your warehouse, distribution center, or office is limited you will have to design all aspects of your studio with a small space in mind. There are 3 main goals that all photography studios share – high production, low costs, and quality images. 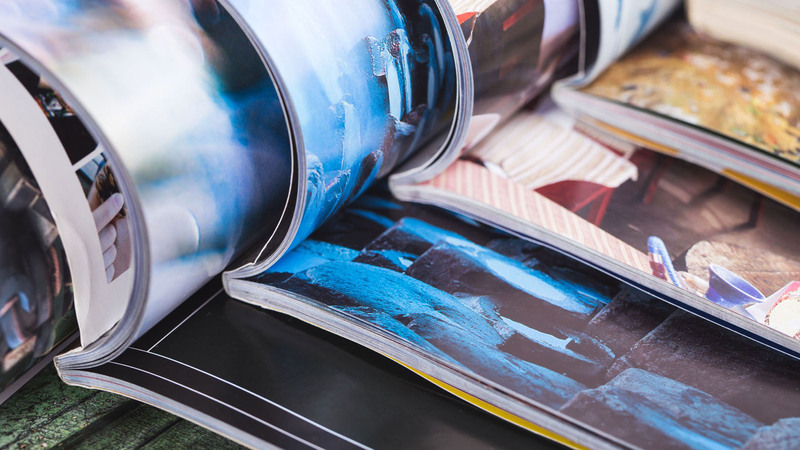 Maximize production: All businesses that are investing in product images understand two basic facts – 1) images help sell more products, and 2) the faster you get images on your internal and reseller’s sites the faster you realize sales. 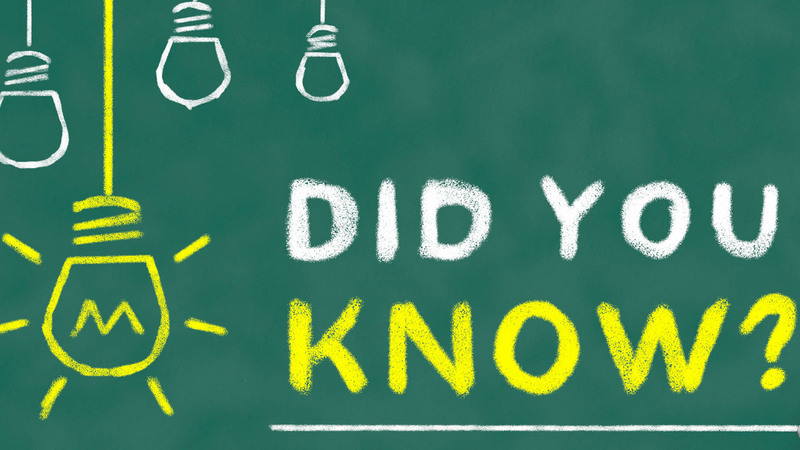 Because of these facts, businesses strive to maximize image production. Keep costs low: Photography studio budgets are tight and dollars need to be stretched as far as possible. 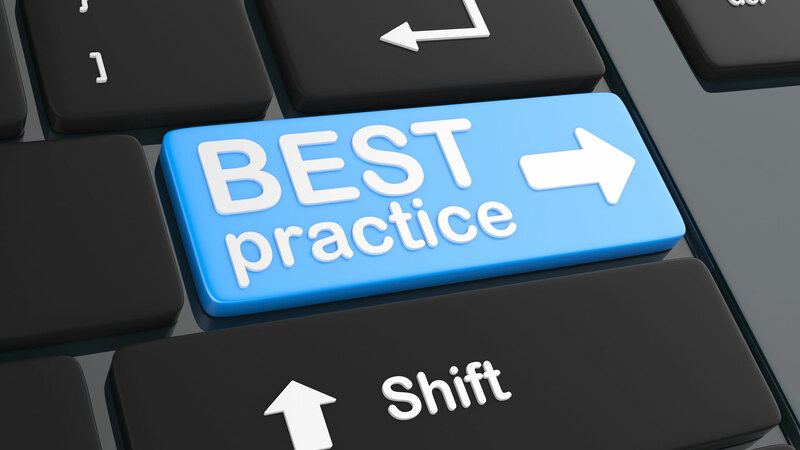 Therefore businesses do whatever it takes to keep their operating costs as low as possible. Produce quality images: Businesses understand that producing images is an investment and in order to have the investment pay dividends the output must be high quality images. Similar to production optimization and cost control, producing quality image is an important goal for most studios. An efficiently operating studio should meet all 3 goals – quality images, fast, and at a low cost. Products arrive at the studio and are recorded as received [software required]. The project they belong to. The priority they have been assigned. The image views they require. Products are moved to a photography station based on their grouping. Products are prepared for photography. Product numbers are entered or UPCs scanned – the photographer is informed of the image views required for the product and has the flexibility to capture other views [software required]. 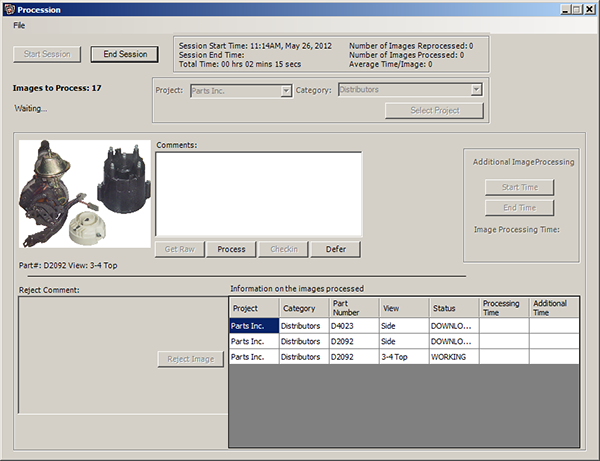 Image views are captured, they are associated to the project, product number, and image view [software required]. Images are uploaded to an online project management system where they are available for editing and QA [software required]. Products are placed in a holding area until the images have been QAed and approved (in case of a reshoot, the product is easily accessible). Images are edited [software required]. Images that pass QA are formatted and distributed to internal and external systems [software required]. Products that fail QA are sent for reshooting [software required]. When all images are approved the products are returned to inventory or readied for shipping. Light stands are a pain to work with. Every time you try and move around the photography station to position your product or adjust your lights you either trip over the stands or you have to squeeze between them to get to the photography table. And finding stands that have a small footprint that can support the weight of the light and a softbox is not easy. The ultimate solution is to eliminate the stands altogether and install an overhead light tracking system. These systems allow you to suspend your lights from a sliding track system that is installed on the ceiling. This allows you to easily and quickly move, raise, and lower your lights without having to deal with stands at all. Less clutter means easy access to the table for product positioning. The main issue with these solutions is the cost, $2,000 and up for each photography station, ouch! In addition, if your studio has high ceilings, which many studios that are in warehouses and industrial spaces have, you will need to install a grid system that hangs from the ceiling that the tracking systems would attach to – this can get even more expensive, ouch again! An overhead tracking system is great for efficiency if your studio configuration and budget can accommodate it. Watch this video below, it shows how these systems are installed and a bit about how they work (note – I do not know anything about this brand – costs, quality etc.). Table top photographers have two main options for camera support – a tripod or a camera stand. Tripods are much cheaper than camera stands but lack the flexibility. Both have footprints that get in the way when you are moving around the photography table. I am firmly in the camera stand camp and I believe it is worth the cost. For between $1,000 and $3,000 you can get a very good stand. You can spend $10,000 or more for a high-end stand but this is overkill. Why a camera stand? Because the time you save moving and adjusting your camera for the various product shots will more than justify the cost over time and you will be much happier when doing your job. 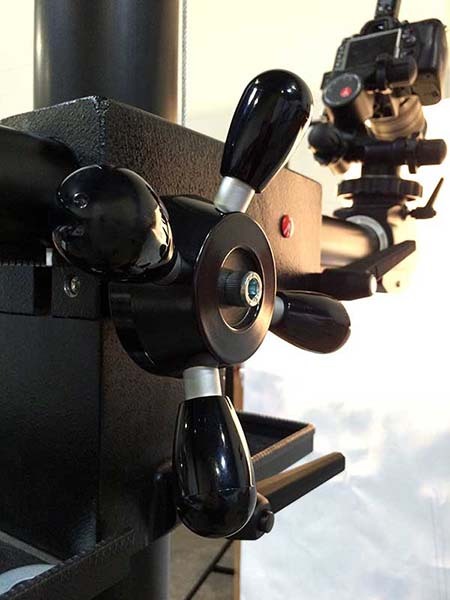 With camera stands you can move your camera up and down vertically easily and accurately. 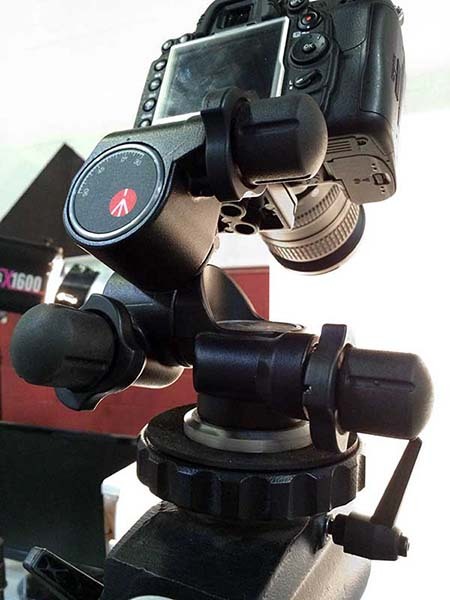 You can also move your camera into the product horizontally for overhead and close-up shots. Lastly, if you have large products, camera stands, which can be as high as 9 feet, will enable you to get your camera high overhead to take these shots. Spend the money, you will be glad you did. Table-top photography is all about capturing quality images fast. Quick precision is the name of the game here and any equipment that can give you this precision is a must. No piece of equipment is more of a must than a gear head. You attach the gear head to you camera stand arm, attach a quick release plate to your camera and mount your camera to the gear head. Now you can pan and tilt your camera to the exact angle you need. The key is how fast and easy it is to get this precision. You can get an excellent gear head for under $300. This is MORE than worth it for the efficiencies you will gain. I promise that this will be one of the best investments you will ever make for your photography studio. The price of glass can vary considerably. Entry level or kit lenses can be a third of the price of higher quality lenses. Brand name lenses – Canon, Nikon – are much more expensive than non-brand name lenses. The question is – will good / expensive glass actually make your studio operate more efficiently and is it really worth the investment. They take great pictures – this may not speed you up but it will allow you to produce higher quality images. They focus fast – we have tested lower quality lenses against higher quality lenses in low-light situations. Higher quality lenses focus much faster. In a table-top studio environment the light can sometimes be low making focusing with camera control software a time-consuming exercise. Saving time focusing should, over the long run, justify the investment in superior glass. They are durable – we are a Nikon shop so I can only comment on the higher-end Nikkor lenses – they are well made and durable. This is especially important if your studio is in an industrial environment. Overall I believe that the investment in quality lenses is worthwhile – you will be able to take higher quality images faster. As with any business activity, good people can make all the difference. Every efficient studio needs experienced managers, photographers and assistants – let’s look at these roles. High-volume product photography with a wide variety of products, both still and 360. Photoshop, Lightroom, Capture One and camera control software. Equipment sourcing, use and maintenance. If you can find someone with the experience and skill listed above your studio will operate smoothly and produce a high rate of quality images. It is wise to invest the time and effort in recruiting, the manager will have a big impact on your studio results. The key word here is ‘experienced’. Product photography is unique and VERY different from other types of photography like portrait or event photography. Most photographers that specialize in non-product photography think their skills easily transfer to product photography, I disagree completely. You must have photographers that understand the idiosyncrasies of shooting products – lighting, propping, product positioning, and product movement and handling workflows. These are not inconsequential skills. The impact an experienced product photographer can have on your studio efficiency is huge. Take your time finding good photographers. There is a lot to do in a studio other than taking pictures. Receiving products from inventory, prepping products for photography, managing products during the photography process, preparing products to be returned to inventory, and other duties involved in assisting the photographer. Assistants that perform these tasks need to be organized, hardworking individuals. There are many moving parts to a photography studio, good helpers are critical. And the better the helpers are the more the photographer will be able to focus on what they do best, product photography. Well-designed studio workflows can help increase production rates and overall efficiency. Tracking Products Received and Returned: this workflow should be handled mostly by software. When products arrive or leave the studio you enter the product number or scan the UPC into the software. You can now easily report on what / when product arrived at the studio, what / when product was returned, and if you are working on projects that have product lists associated to them, you can report on which products have not yet been delivered to the studio for a specific project. Tracking Station and Studio Location of Products: this is an advanced workflow, also handled primarily by software, and only recommended for studios that are very active and have multiple photography stations operating concurrently. 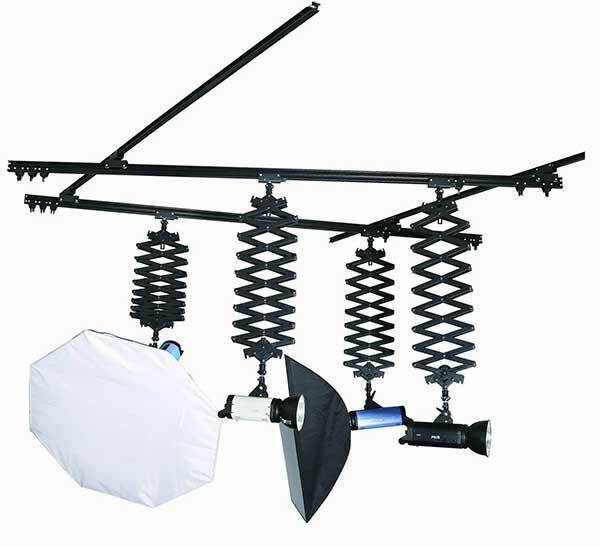 Here you track product movement to photography stations and a specific locations in the studio. Locations in the studio are assigned internally generated barcodes. With this workflow you can identify exactly where a product is in the studio and which station it was assigned to. Sorting Products by Like Characteristics: this is a manual workflow. It involves sorting products by size and other similar characteristics e.g. image views required, color, reflectiveness, propping requirements. By shooting similar products one after the other the photographer minimizes camera and light adjustments thereby increasing productivity. Also the image quality will be consistent because all products that share similarities are photographed at the same angle and with the same lighting. For most studios, the biggest time killer is keeping track of the images as they are captured and the product number and image views they belong to. Renaming files and organizing them in folders is cumbersome and extremely time-consuming. 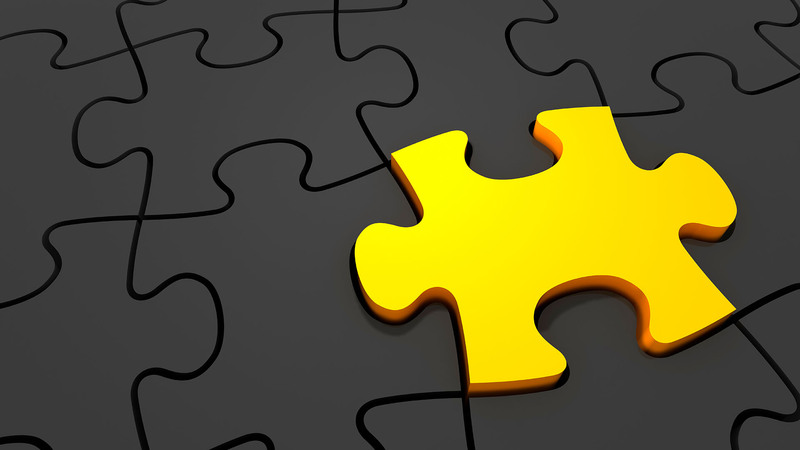 These issues can be resolved with a workflow managed by software. The photographer scans or enters the product number into the software, captures the images for the product, and then associates each image to a view (top, bottom, left, right etc.). This is all done within the software interface. This workflow allows the photographer to focus on photography and not on folder and file management. At its core, product photography is about the production of product images. This production is actually a series of mini workflows as the image flows through its lifecycle – from capture to editing to QA to formatting. 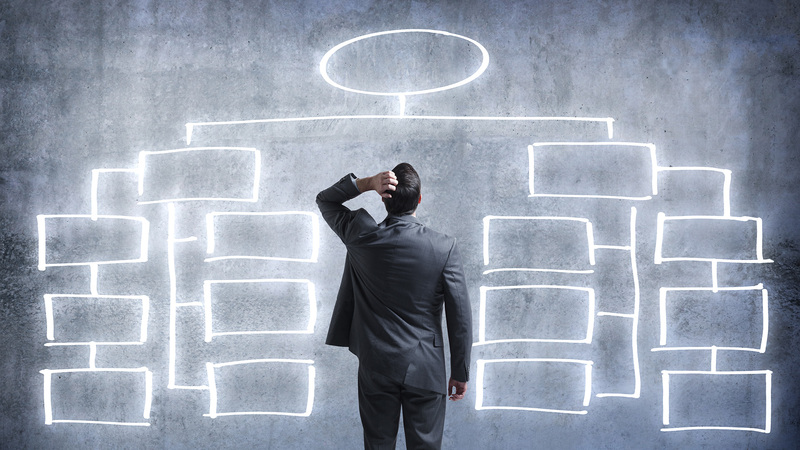 These workflows can only be managed efficiently with software. More detail on this software in the next section. As you can see from the workflow points above, software is the engine driving an efficient studio. 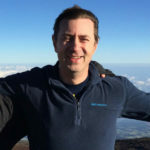 From my perspective, there are 3 key software applications that every efficient studio should have (and there are several important supporting software applications). 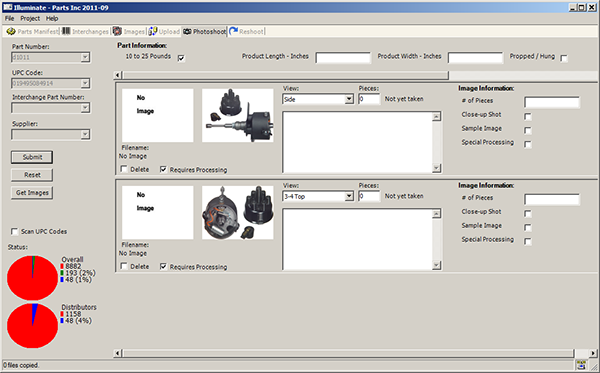 It synchronizes the product list and the image views with the Image Production Management system (see below). The photographer is always up-to-date with the project – new products added, image views added or changed, sample views for each product group, and images that require reshooting. It allows the photographer to enter a product number or scan a UPC into the system and view the images that are required for that product. Once the images are captured the system associates them to the product number and views. There is no renaming of files, no creating folders, no copying and pasting between folders. This saves huge time for the photographer. It allows the photographer to view samples images for each product or product category saving time when it comes to positioning and setting up a product for photography. It uploads images directly a central system so that image editors can begin working right away. This allows for fast turnaround from photography to editing and avoids the risk of losing images or having to manually back them up. It records what products have been photographed and reports on which products need to be photographed. Often the camera is not easily accessible to the photographer making it difficult to adjust settings and to click the shutter. Camera control software allows you to control the camera at the computer without touching the camera. 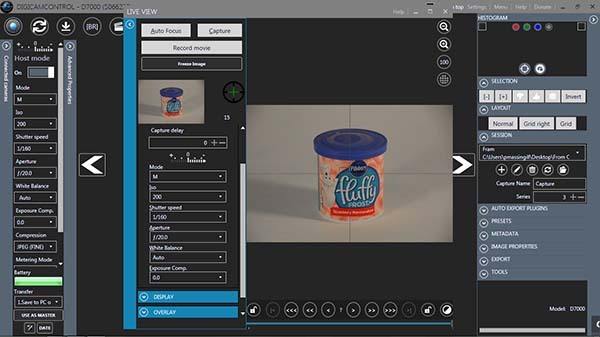 It also has many other valuable features like ghosting (allows you to position your product exactly how the previous product was positioned), centering the image frame, and reviewing the image prior to transferring it to Lightroom or Capture One or directly to your Photography Management Software. The camera manufacturers make versions of camera control software as do 3rd party software companies. Currently we use DigiCam Control. It is an open source 3rd party application that does everything the camera manufacturer software does and more. After the images have been taken using your camera control software, and before they are uploaded to the Photography Management Software you may want to run them through an application like Lightroom or Capture One. Usually this step is added to the workflow when you need to make adjustments to all the images belonging to a product. In Lightroom or Capture One it is easy to run batches or groups of images through presets to enhance them. Once the images are uploaded to the central system they can be accessed by image editors for advanced editing – clipping paths, background cleanup, cropping etc. Image Editing Management Software sits in between the central system and the editors Photoshop application. It acts as an image controller – it downloads images so they are ready for the editor, it records all editor production activity, and works seamlessly with Photoshop. 99.9% of image editing is done with Photoshop. When an editor clicks on an image to be edited in the Image Editing Management software it automatically opens in Photoshop, when the editor has completed editing, the image is saved and closed in Photoshop. The Image Editing Management software then uploads the image and the next one is opened in Photoshop. 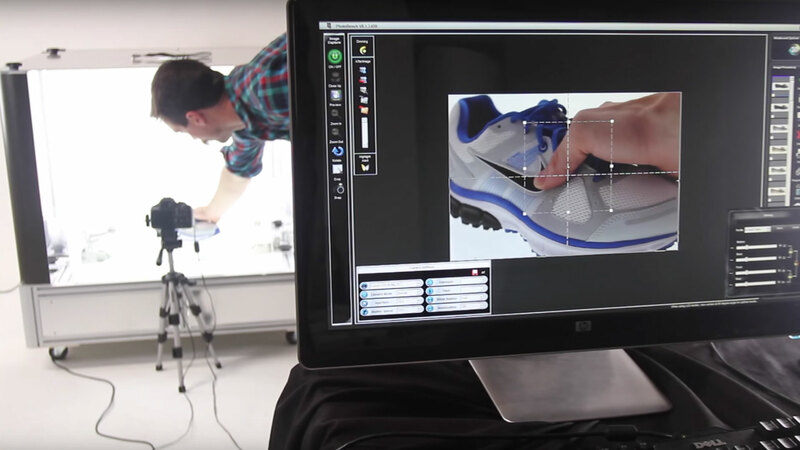 For the entire product photography setup to be efficient there needs to be a central system where all automated and management functions take place – this is the Image Production Management System. This system is web-based and accessible to all users from anywhere. 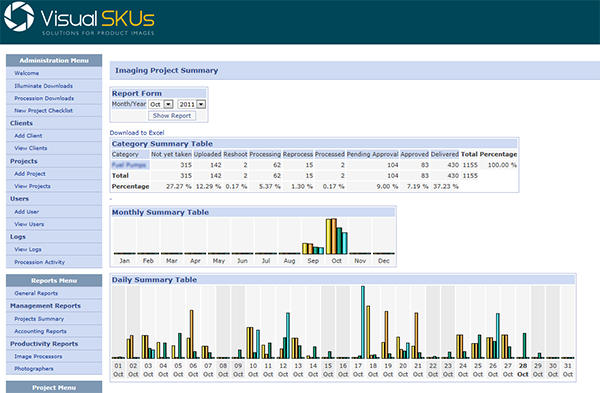 Project management – set up your projects with product lists, product groups, image views per product group, and users. Reporting – generate reports on all project activities – e.g. images edited, QAed, reviewed, and formatted. Image QA – images flow through a single or multi-step image QA cycle where approved images are formatted and rejected images are either re-edited or reshot. Image editing – access to editors for image editing. Image management and search – enter search criteria to locate images, make changes to image data (product number, image view etc.) as required. Image formatting and delivering – enter image specifications like file type, dpi, width and height – format as required. So there you have it – to maximize the efficiency of your product photography setup you need to focus on 5 key areas – equipment, people, workflows, software, and putting it all together. If you do this well your studio will be producing quality images quickly. How do you maximize the efficiency of your product photography studio? Please add your comments, we would love to hear from you.